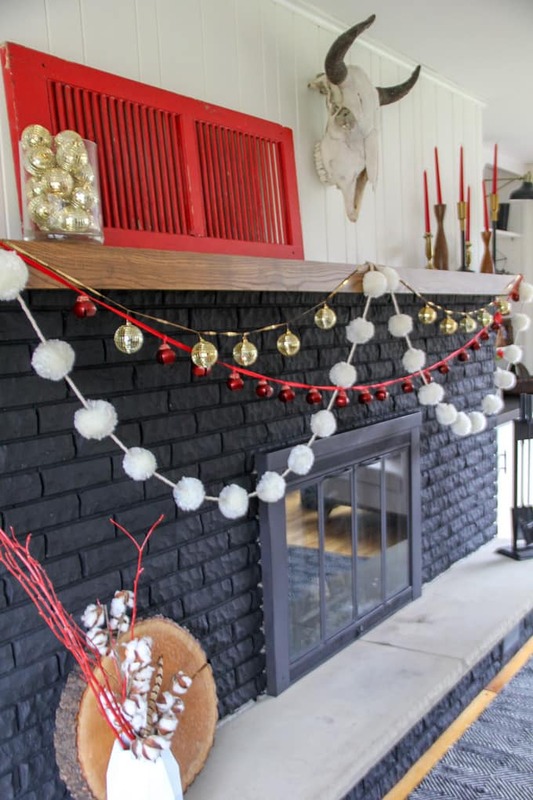 Last week I was busy painting my brick fireplace black. Now that it’s done I couldn’t wait to highlight it for Christmas! Yes… I’ve already started my Christmas decorating! 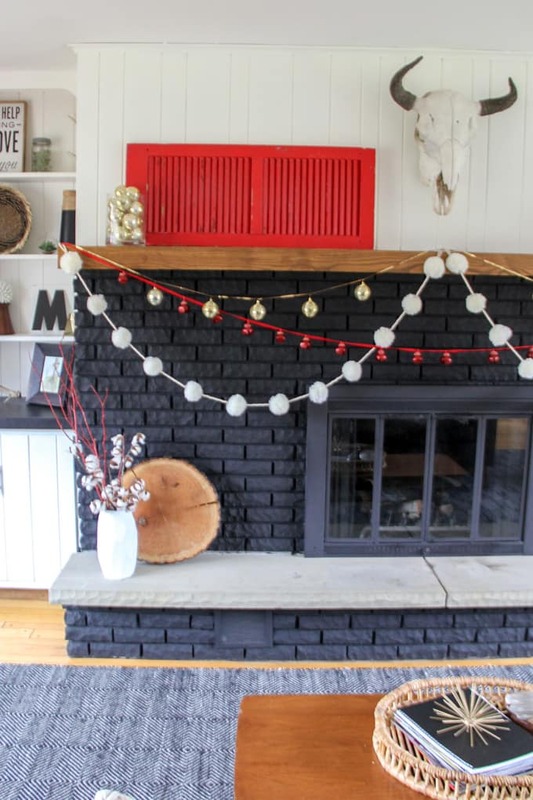 So far my modern Christmas fireplace is as far as I’ve gotten, but I love the way that it turned out. 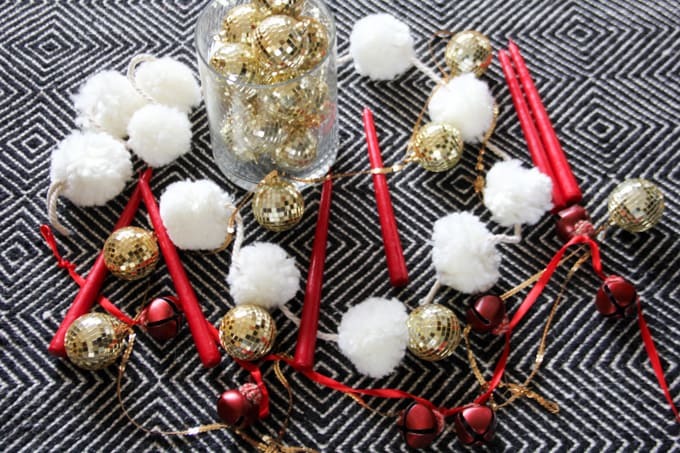 Recently I made a run to Hobby Lobby where I picked up these red candlesticks, bell garland, this pom pom garland, and gold disco ball ornaments. 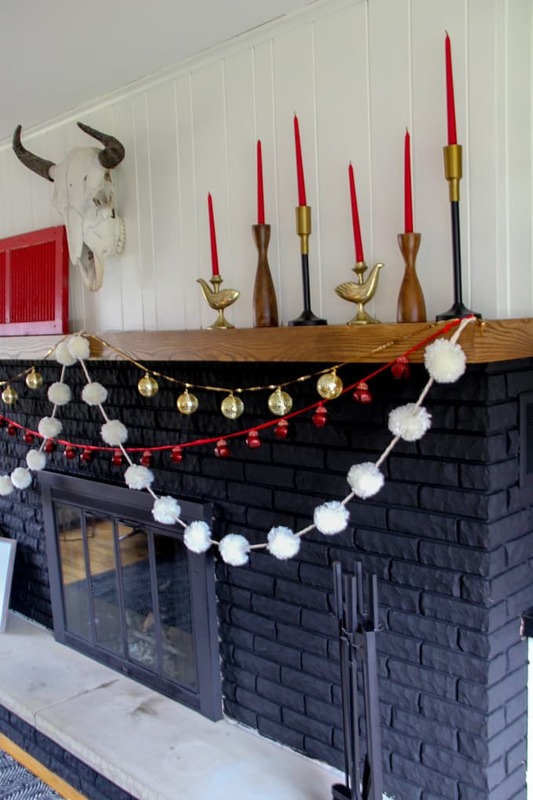 I knew that the red, gold, and white would really pop against the black fireplace. 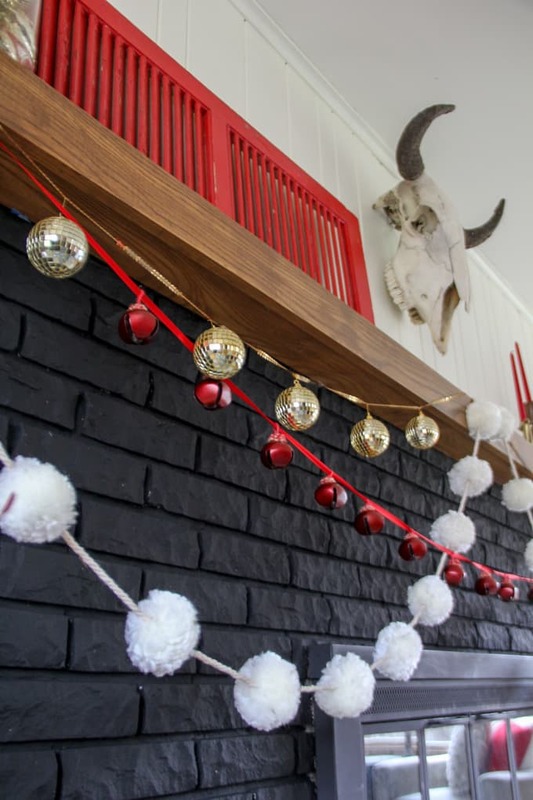 The disco balls are actually ornaments, but I wanted to hang them as a garland. 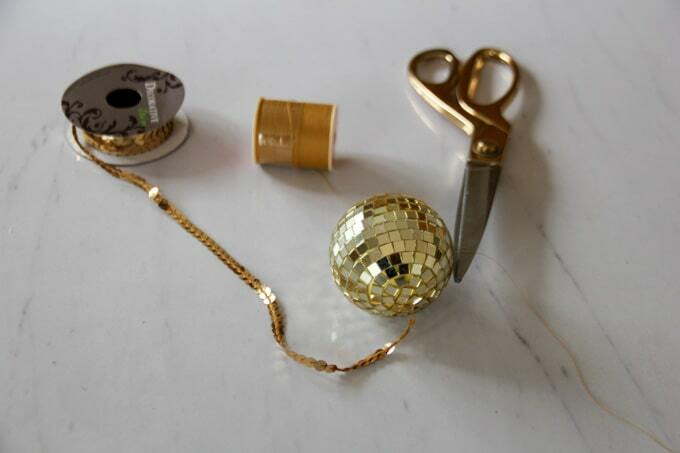 I just grabbed a roll of this sequin tape and some thread, and tied the gold balls right onto the sequins. 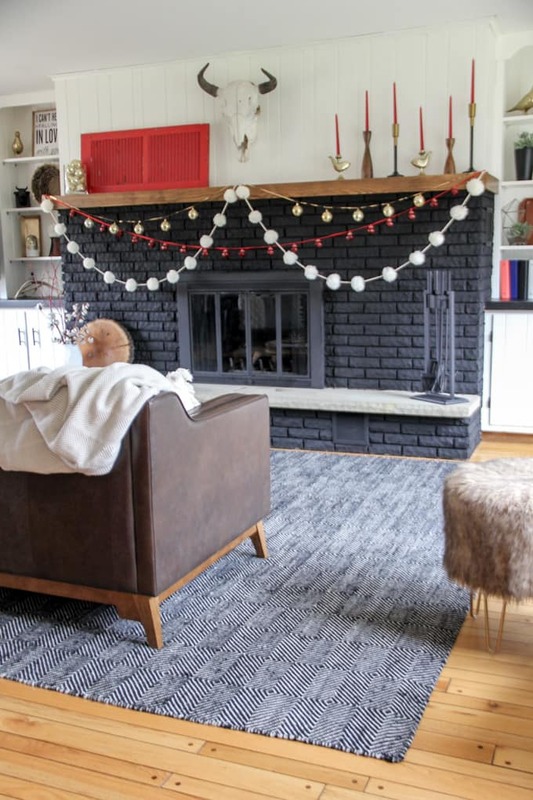 The bell garland was cool, but the jute was just a little too country for my home. 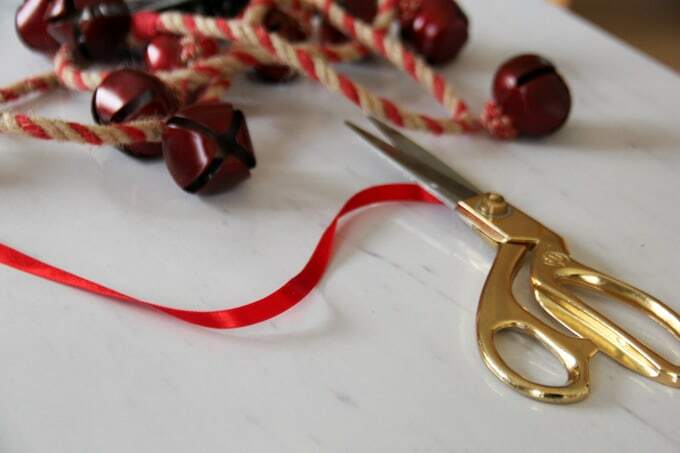 Instead I decided to cut the bells off of the jute, and then string them onto a piece of red ribbon. 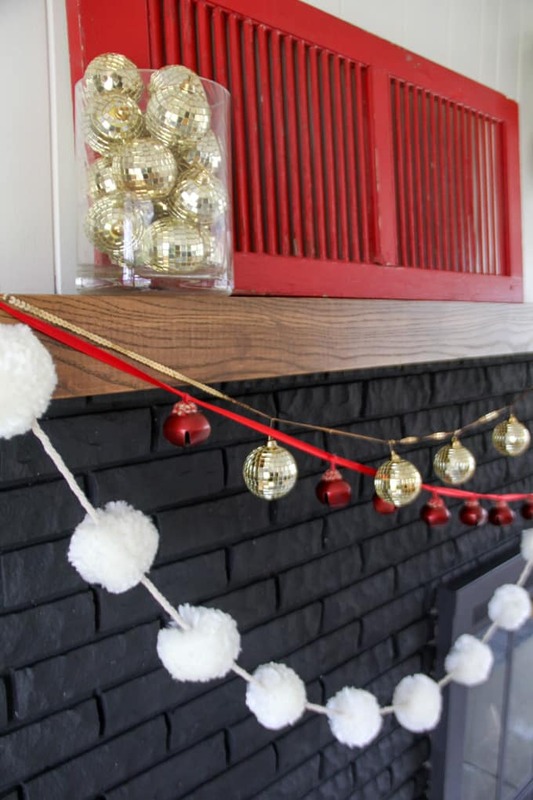 I LOVE how these three garlands look hung together. 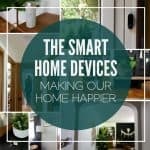 To ensure that they don’t go anywhere, I just pounded a tiny nail into each corner of the mantel and one in the center. 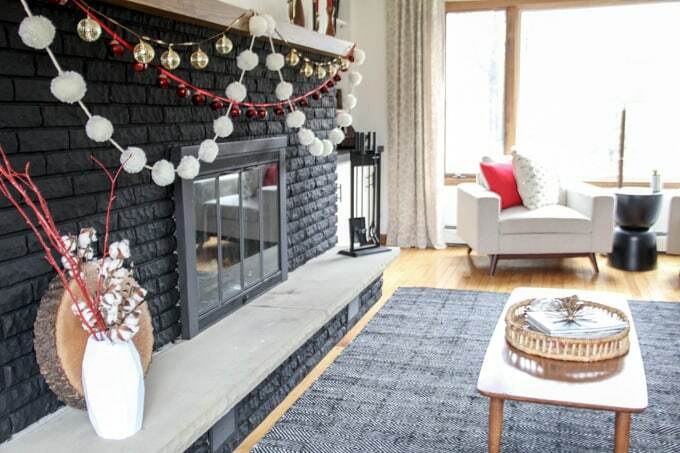 I wanted each garland to hang at a different height, so I strung the bells in one long string across the width of the entire eight foot fireplace. Then I just attached the pom-poms and disco balls at the center nail. I purchased extra gold disco ball ornaments, and decided these looked great piled high in this hurricane vase. 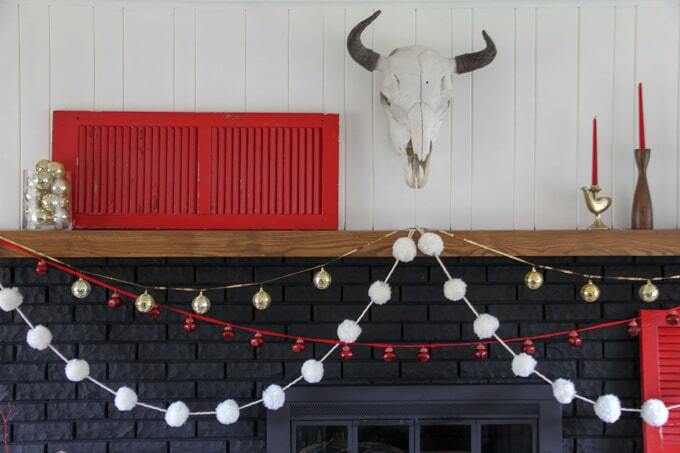 I decided to keep the mantel pretty simple, and just added in this red shutter that I’ve had for a long time. 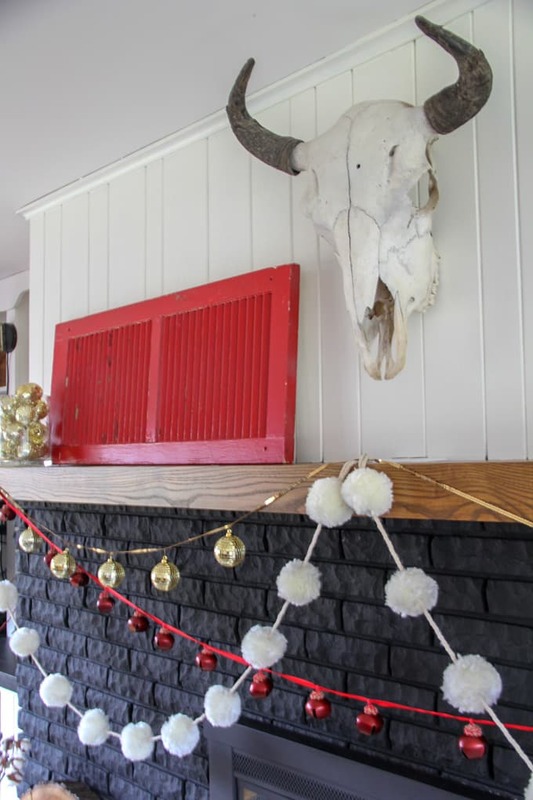 This buffalo skull was a find at a auction a few years ago in North Dakota, and I still love having it as the centerpiece over the fireplace. This white geometric vase was a Hobby Lobby find a few years ago, and I just spray painted a few branches red and tossed them in with some cotton stems. The red taper candles really pop against the white wall. 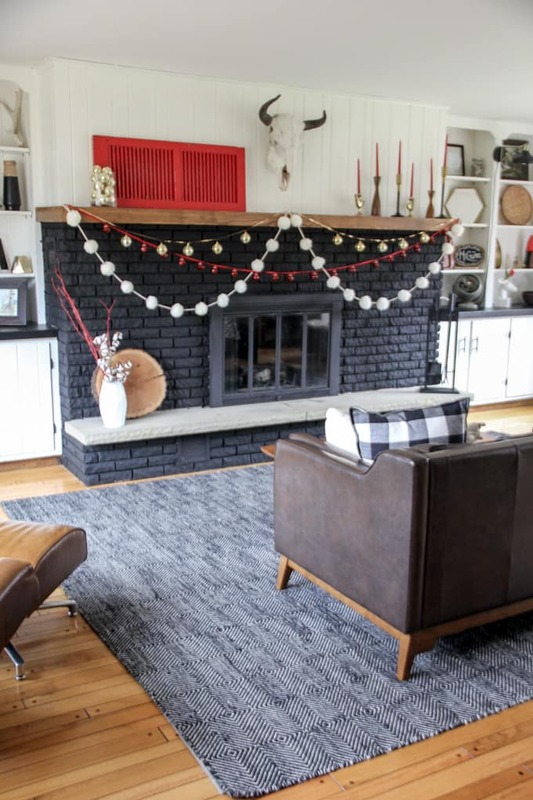 I’m so happy with how the fireplace turned out. 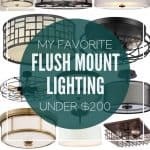 In total I spent less than $100 to create this gorgeous display! 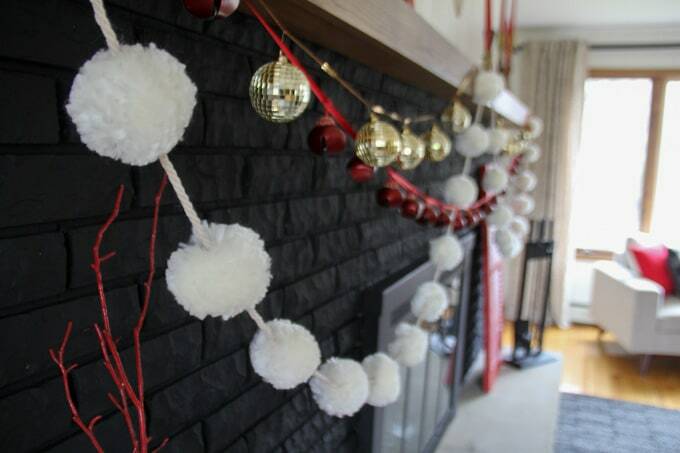 The white pom pom garlands were $12 each, the bell garlands were $9 each, and the disco ball ornaments all came to $15. The candles were under $10 for all six. 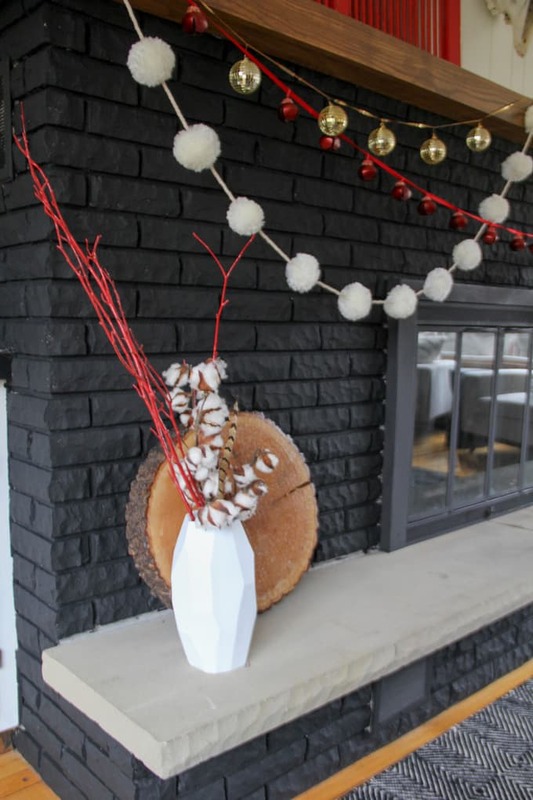 With a little bit of creativity, $100 can go a long ways towards beautiful Christmas decor. 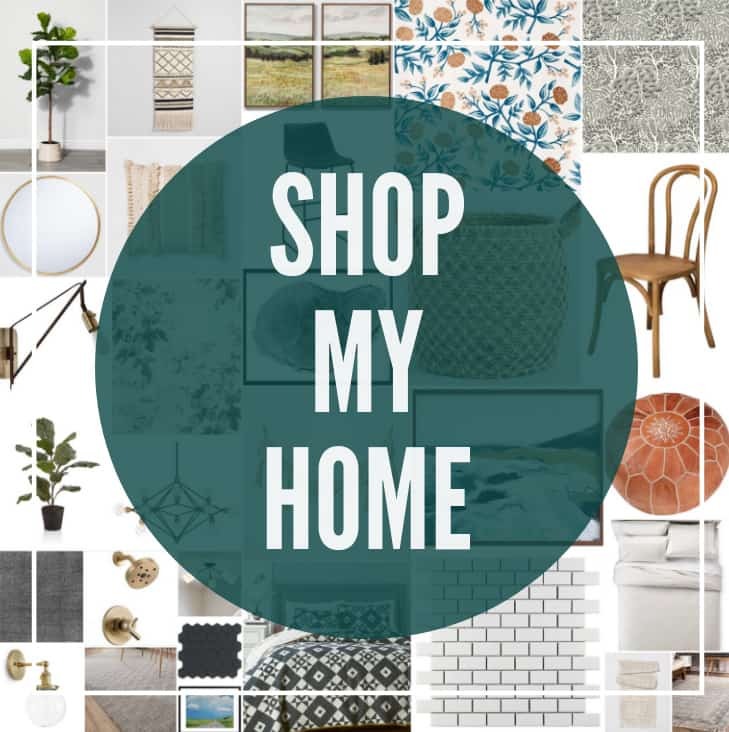 I think I’ll try and hold out until after Thanksgiving for the rest of my decor… we’ll see though, I may not be able to help myself! 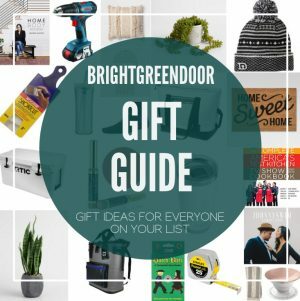 I sure am loving the way this pop of Christmas feels in our home! If you’re looking to add something new to your Christmas decor, I highly recommend checking out Hobby Lobby. 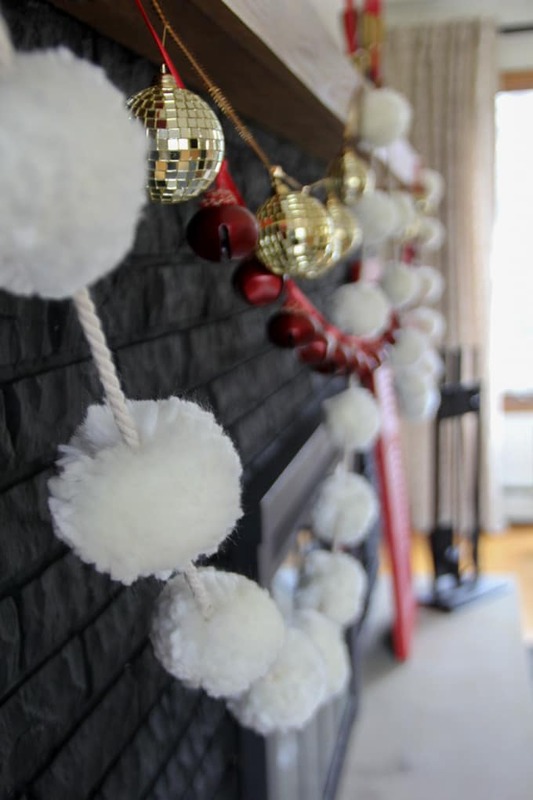 A mix of garlands might be just what your fireplace needs this Christmas! Somehow I missed this comment earlier! Candle holders are starting to take over all the surfaces! I’ve got more over on the piano too!